MASNA believes that one of the greatest experiences a club can have is a guest speaker at their monthly meetings. Through the information parted by such knowledgeable guest speakers, the experiences of the member club’s participants will be greatly expanded and their enjoyment greatly increased. 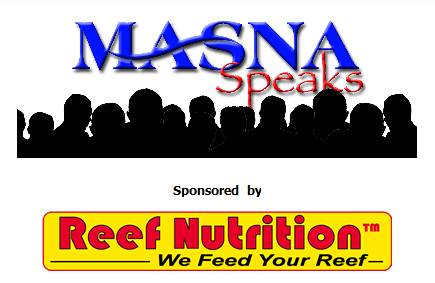 MASNA, knowing the financial expenditures of bringing in such knowledgeable and renown speakers, has organized, with our sponsors, to help offset the costs through the MASNA Speaks Program. Basically, here’s how the program works. Choose your speaker from our speaker database and MASNA will pay up to $300 of the actual transportation and lodging expenses, for any of these speakers to attend your meeting. Remote presentations are reimbursable up to $100, for speakers using on-line or teleconferencing delivery methods. After selecting your speaker you will need to contact them directly to arrange a convenient schedule. MASNA has set a limit of 14 total speaking engagements in 2017 for MASNA Speaks. Availability is based on a first come-first serve basis. Priority will be given to first time use of the program by member clubs, secondary requests will be based on funding availability. Transportation for the speaker should be arranged by you. MASNA must also be notified of a mailing address for the shipment of MASNA material, which includes brochures and other collateral for use during your event. All societies are limited to two MASNA Speaks events per year with a maximum annual reimbursement of $500. Member societies wishing to take advantage of this valuable program must include the current MASNA Logo and current MACNA banner, with the appropriate links, on the front page of their websites. If the member club only uses Facebook, the MASNA and MACNA logos must appear in the cover page image. -Maximum $500 reimbursement per calendar year, maximum $300 reimbursement for a single event where the speaker travels to your location or maximum $100 reimbursement for remote presentations. -Your event MUST be approved by MASNA in order to be eligible for reimbursement. Confirmation typically takes 5-7 business days. -Your club’s website must actively display the MASNA & MACNA Banners or your Facebook page must display the MASNA & MACNA logos on your cover page. -Speaker must use the approved MASNA Speaks Slide in their presentation. -Must provide legible pictures of your event including the speaker with the MASNA slide within 14 days, along with applicable receipts. Remote deliveries must include a screen capture of your presenter and the MASNA Speaks slide.